The Philippines' leading budget airline, Cebu Pacific (CEB), boosts its presence in the largest travel event and tourism campaign in the Davao region, the Visit Davao Fun Sale (VDFS). Now on its fourth year, the partnership between CEB and VDFS takes on an advocacy angle, in an effort to promote Davao and peripheral areas in Southern Mindanao as safe, enjoyable and exhilarating travel and adventure destinations for both local and foreign tourists. As part of the seven-week activities for VDFS, CEB is flying-in top adventure travel bloggers and digital influencers from Singapore, Japan and South Korea to visit Davao and check out attractions such as the beaches in Mati City, Aliwagwag Falls and Eden Eco Adventure Park; go dolphin-watching off the coast of Mati, white-water rafting in the Davao River, pub-crawling in Davao's city center, or shopping at the Aldevinco Center. 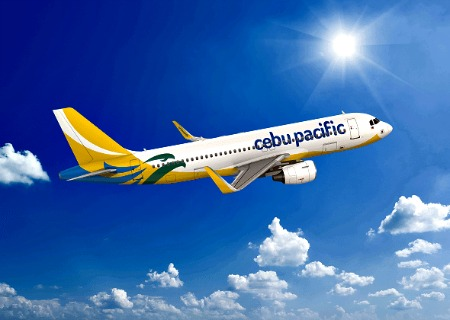 "CEB takes pride in having the most flights to and from Davao. But more than the flights, we need to do our part to help entice tourists to fly to Davao and experience what the region has to offer. Davao and adjacent provinces have so much to offer tourists from all walks of life—from thrill-seekers to laidback travellers; families on vacation; barkadas on a getaway and even solo backpackers," said Atty JR Mantaring, Vice President for Corporate Affairs of Cebu Pacific. Cebu Pacific has the most extensive domestic route network among Philippine carriers, with direct, inter-island connections to major tourist destinations. Operating a hub in Davao, CEB has 141 flights to and from Davao, with six direct domestic routes (Cebu, Bacolod, Cagayan de Oro, Iloilo, Zamboanga and Manila); and a direct flight to Singapore. The airline's extensive network covers over 100 routes and 66 destinations, spanning Asia, Australia, the Middle East, and USA. Launched in 2014, the Visit Davao Fun Sale is a partnership between local governments in the region, the Department of Tourism, other national government agencies and private enterprises to promote tour packages and unique experiences to tourists such as food and delicacy must-tries, as well as leisure and wellness activities. This year's tours include special packages for Davao City, Island Garden City of Samal, Sta. Cruz in Davao del Sur where one of the trails to Mt. Apo is located, and the Hamiguitan Range and Wildlife Sanctuary. Since its launch, VDFS has helped push tourism growth in the region to double-digit levels, capping 2016 with 100,000 tourist arrivals. VDFS 2017 runs from April 16 to May 31, 2017. CEB currently operates flights out of six strategically placed hubs in the country: Manila, Cebu, Davao, Clark, Kalibo, and Iloilo. CEB enhances inter-island connectivity within the country and across the globe with a total of 37 domestic and 29 international destinations, operating an extensive network across Asia, Australia, the Middle East, and USA. The airline's 59-strong fleet is comprised of four Airbus A319, 36 Airbus A320, seven Airbus A330, eight ATR 72-500 aircraft and four ATR 72-600. Between 2017 and 2021, CEB expects delivery of one more brand-new Airbus A330, 32 Airbus A321neo, and 12 ATR 72-600 aircraft.